Customers looking for smaller sedans continue to vote with their dollars for the Honda Civic in 2017, just as they did in 2016. Last year, with 366,927 sales, the Civic was the third best-selling car in America after Toyota’s mid-size Camry and Corolla compact. This year’s Civic sales numbers through September 2017 are tracking a bit ahead but still within one percent of the 2016 figures. 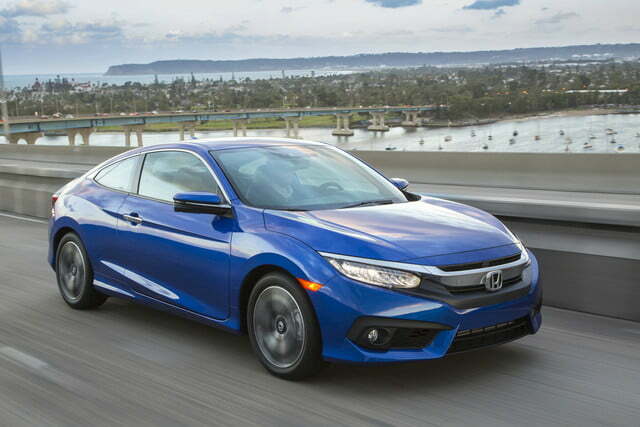 The current 10th-generation Honda Civic launched with the 2016 model year. Civic generations typically last five years, so don’t expect another next dramatic change before 2021. 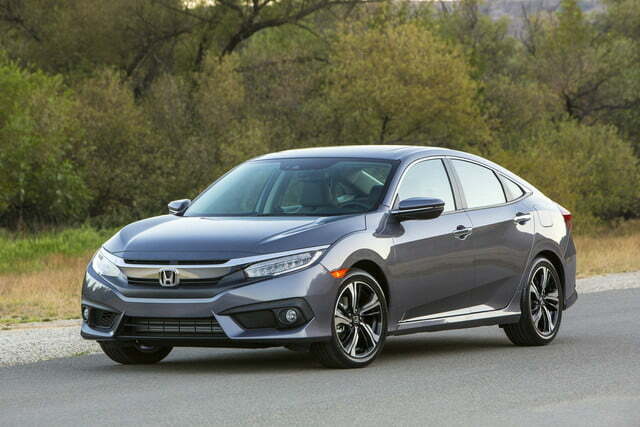 The 2018 Civics are unchanged in all respects since 2017 to the point that press images supplied for 2018 models often depicted 2017 and even 2016 cars. 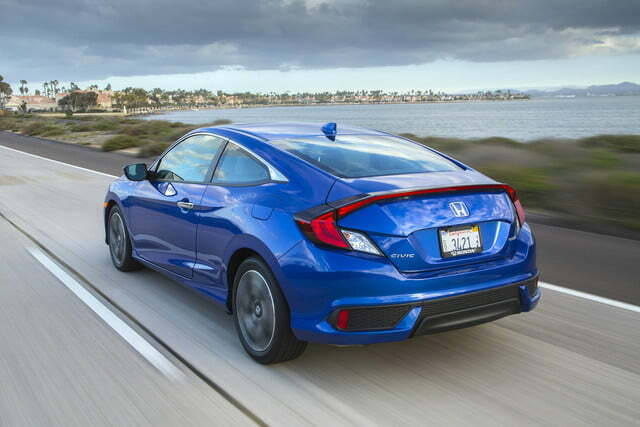 Body and trim varieties that appeal to diverse customer preferences factor in the Civic’s success. 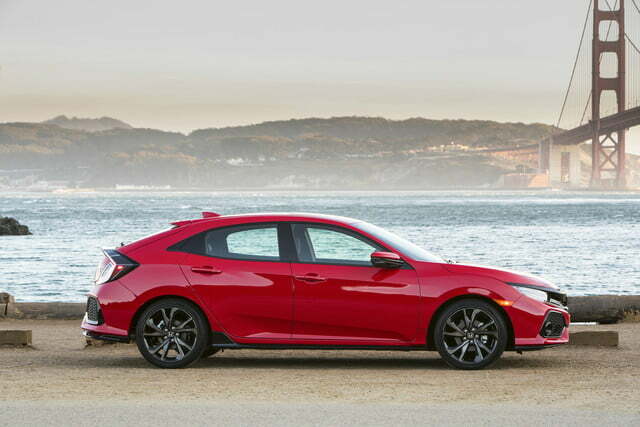 The 2018 Honda Civic comes in 18 variations including sedans, coupes, and hatchbacks in a wide range of trim and performance levels. Civic starting prices range from the base trim LX at $18,840 in either sedan or coupe to the $33,900 Civic Type R performance hatchback. Not surprisingly, horsepower correlates positively with the price. 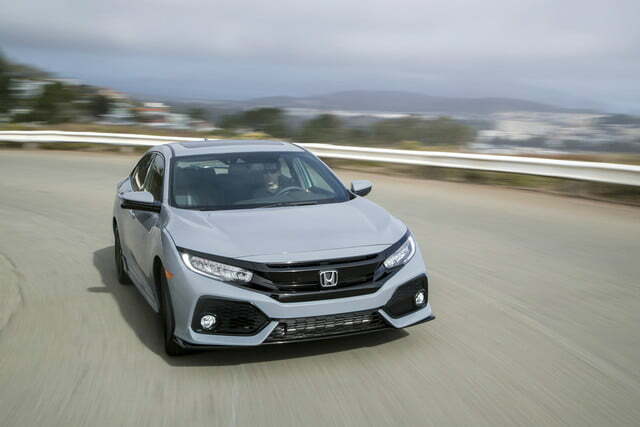 The Civic LX engine produces 158 hp with 138 pound-feet of torque, and the no-joke-track-ready Civic Style R dishes out 306 hp and 295 pound-feet for your hooning pleasure. The positive price to power correlation works in the other direction for Civic fuel economy. 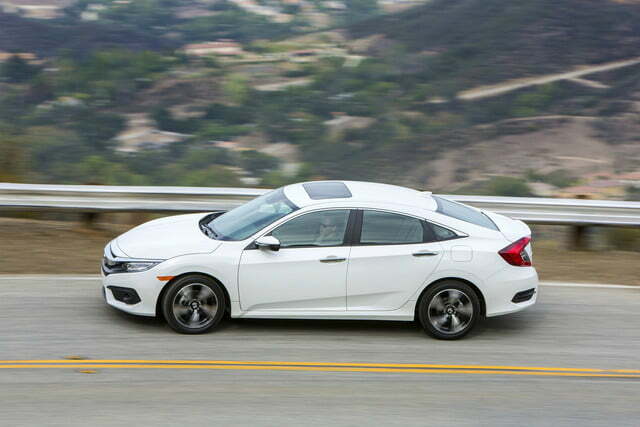 The least-expensive Civic LX sedan and coupe have 28 mpg city, 40 mpg highway, and 32 mpg EPA ratings. Even the rip-snorting Style R manages 22 mpg in the city, 28 mpg on the highway, and a combined rating of 25 mpg, the worst of the lot — which isn’t too bad. 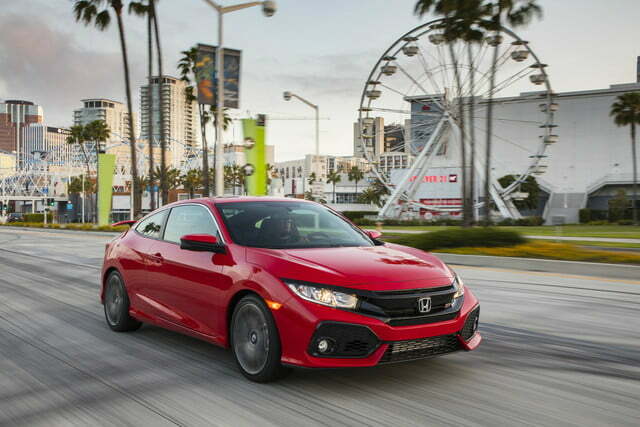 So whether you’re looking for a slightly formal, sophisticated small car, a street racer, or an economical ride, all with Honda’s reputation for reliability and high resale value, the 2018 Civic lineup tries to meet all comers. The Honda Civic appears frequently on best buy and awards lists from consumer and industry groups as well as other websites and publications. One award stands out because we gave it. 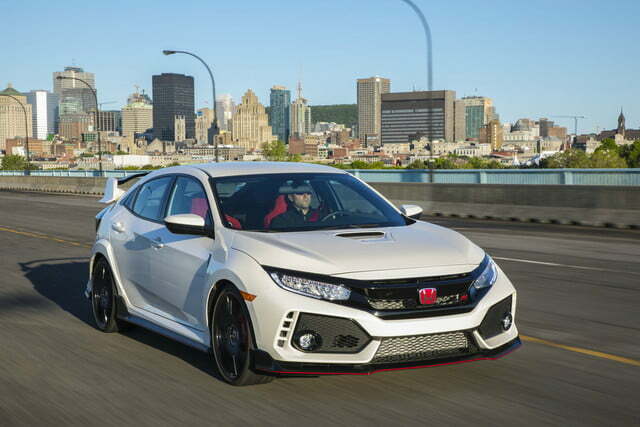 The 2018 Honda Civic Type R is the Digital Trends Best Car of 2017. 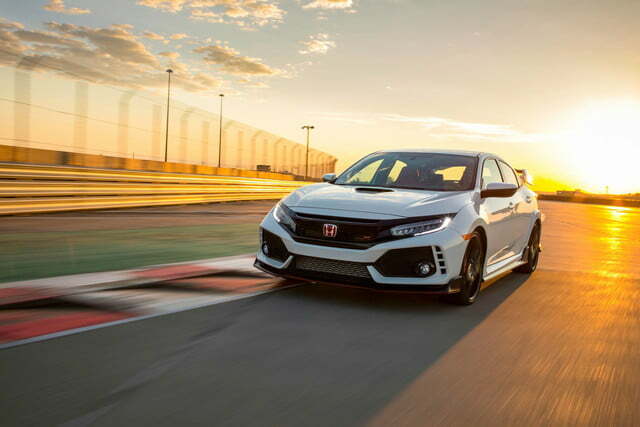 The Type R’s track-worthy performance along with its accessibility as an everyday driver earned it our biggest nod of the year. Civics have four-cylinder engines; most equipped with a CVT (Continuously Variable Transmissions). The most basic and most of the sportier Civics have six-speed manual transmissions. 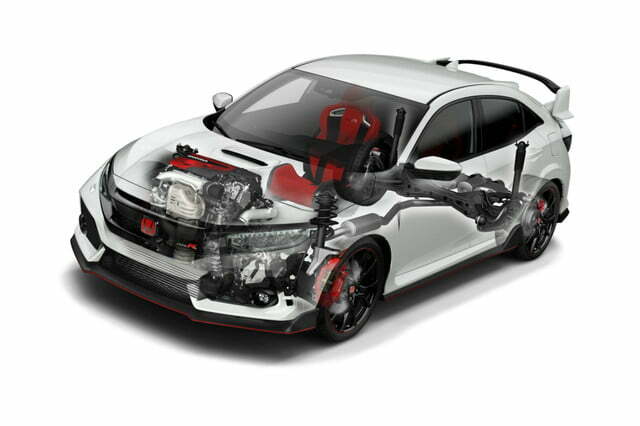 The base 2.0-liter four-cylinder 16-valve DOHC i-VTEC engine tops out at 158 hp and 138 pound-feet. Equipped with a six-speed, this engine achieves 28 mpg in the city, 40 mpg, on the highway, and 32 mpg combined, according to the EPA. 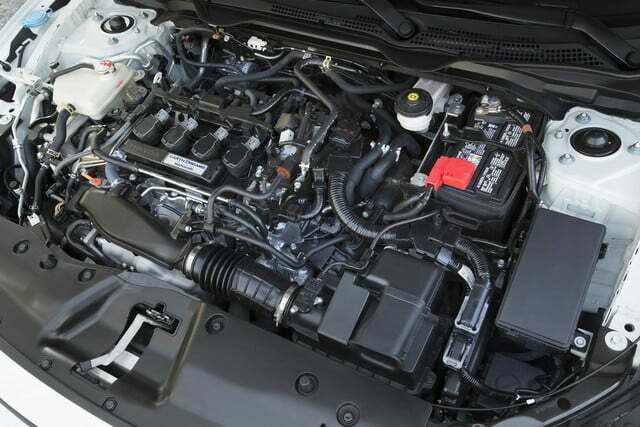 The same engine with the CVT racks up better city and combined miles per gallon, for a 31/40/34 rating. Except for the LX and EX sedan and coupe, all other Civics have more powerful engines. Most other trims come with a turbocharged 1.5-liter motor. 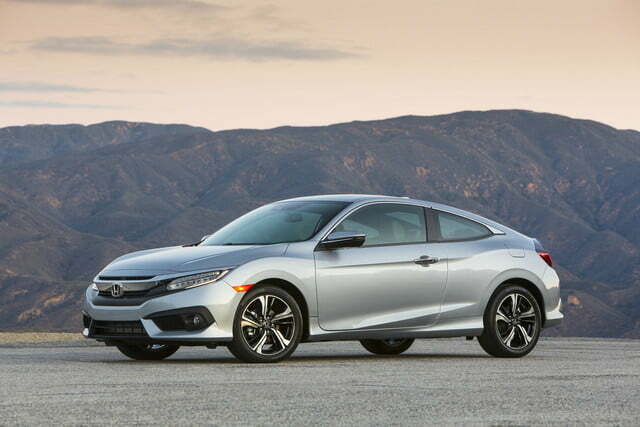 The versatile four-cylinder, tuned differently, outputs 172 to 205 hp depending on the Civic model in which it sits. The Civic Style R is exceptional in many respects including engine and transmission. The R’s close ratio six-speed manual with rev matching rows the gears for a turbocharged 2.0-liter engine. The most costly, most powerful, and least fuel-efficient Civic model’s motor pumps out 306 hp and 295 pound-feet. 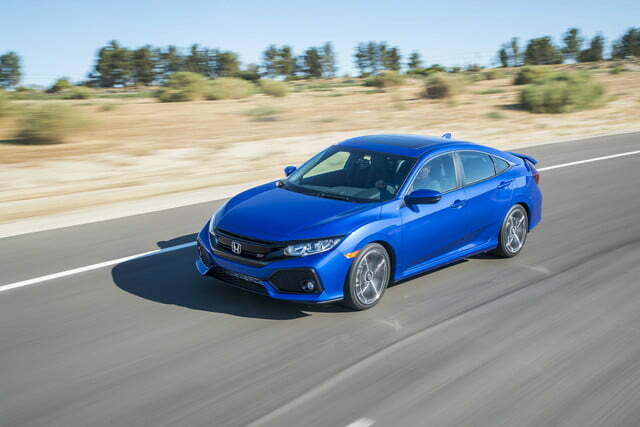 If the Style R’s 22 mpg city, 28 mpg highway, and 25 mpg combined ratings and higher price give you pause, you can notch down to the Civic Si sedan and coupe. 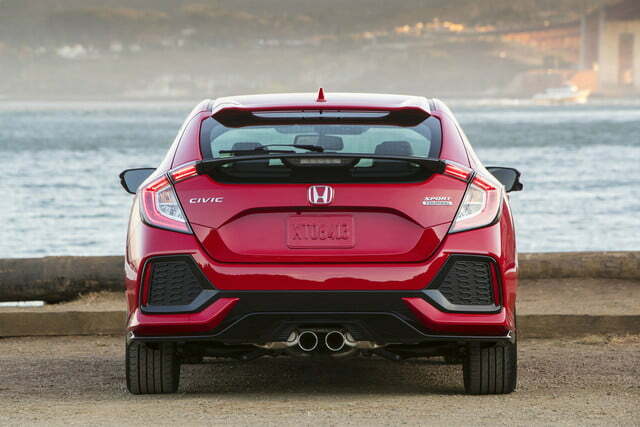 Both Si’s are rated at 28 mpg in city driving, 38 mpg on the highway, and 32 mpg for combined mileage with their tuned version of the 1.5-liter turbocharged motor cranking a respectable 205 horsepower. 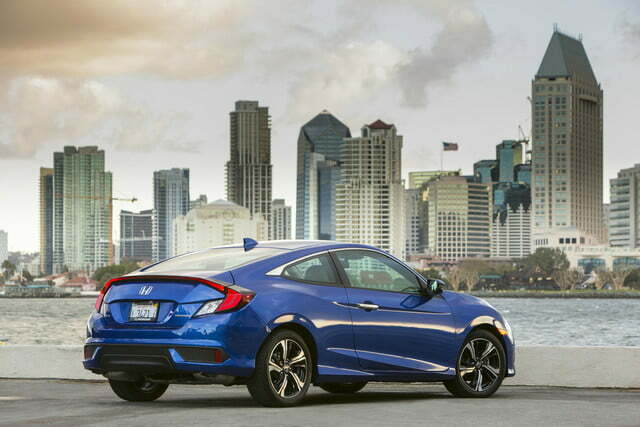 All Civics are equipped with Vehicle Stability Assist (VSA) with traction control and an anti-lock braking system (ABS) with electronic brake distribution (EBD). EBD works in conjunction to ABS to prevent individual wheels from locking up depending on speed, traction, and other road conditions. Civics also have brake assist, a feature that detects emergency stops and adds extra force. Additional standard safety features include a multi-angle rearview camera with either static or dynamic guidelines, tire pressure monitoring, and LED daytime running lights. 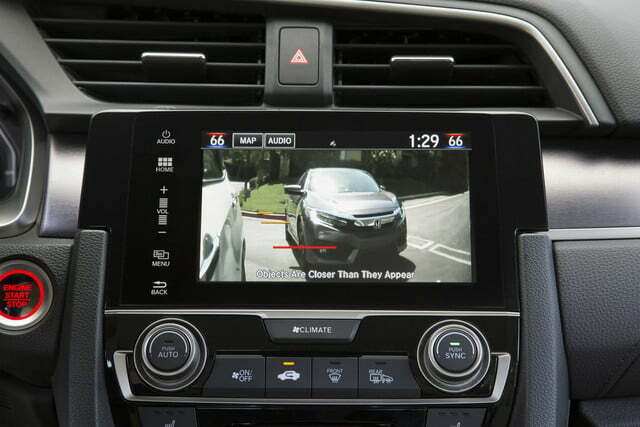 The rearview camera has top-down, normal, and wide-angle views. Toyota includes its Toyota Safety Sense warning and mitigation suite as standard equipment with all Corollas, a major Civic competitor. Honda Sensing is available for all Civics but unfortunately isn’t standard equipment across the line. Honda Sensing includes Forward Collision Warning, Lane Departure Warning, a Collision Mitigation Braking System, and a Road Departure Mitigation System. 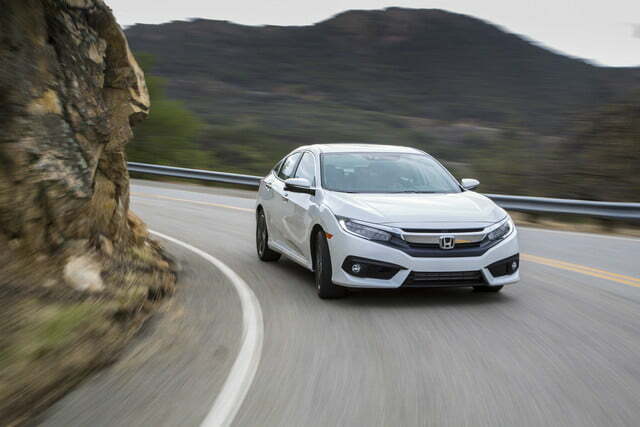 Other driver assistance features available for Civics include Lane Keeping Assist, Adaptive Cruise Control with Low-speed Follow, and Honda LaneWatch. Within the next few years, all new vehicles will be fitted with full safety and driver assistance suites as standard equipment, especially with advances in vehicle autonomy. Today, however, Honda’s suite is an option on many models. 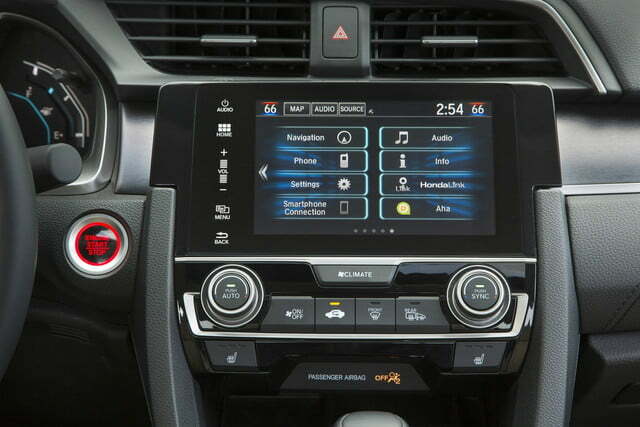 The Civic’s infotainment and electronic accommodation offerings vary by trim level. USB connections and Bluetooth compatibility. All trims have at minimum a 5-inch infotainment display and audio systems with at least 160 watts and four speakers. 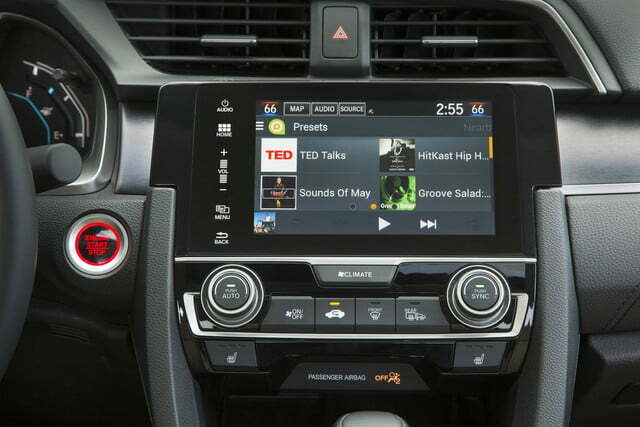 Most trims, but not the LX, include HondaLink, which allows you to connect and display your smartphone’s navigation on the dash display. 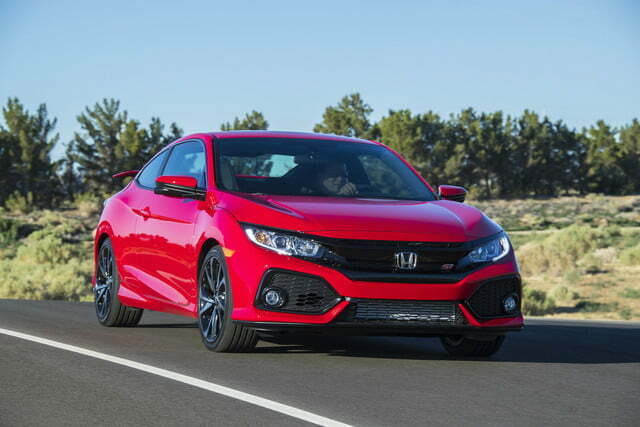 With five Civic Sedans, five Civic Coupes, five Civic hatchbacks, two Civic Si body styles, and a high-performance hatchback, there are a total of 18 distinct vehicles wearing the Civic badge in 2018. So let’s take a look at the full Civic spectrum. The 10th generation Civic sedans have more aggressive styling lines than earlier editions. Even the least gussied up LX benefits from the relatively sleek look. The five Civic Sedan trim levels have starting prices that range from $18,840 for the Civic LX to $26,700 for the Touring model. 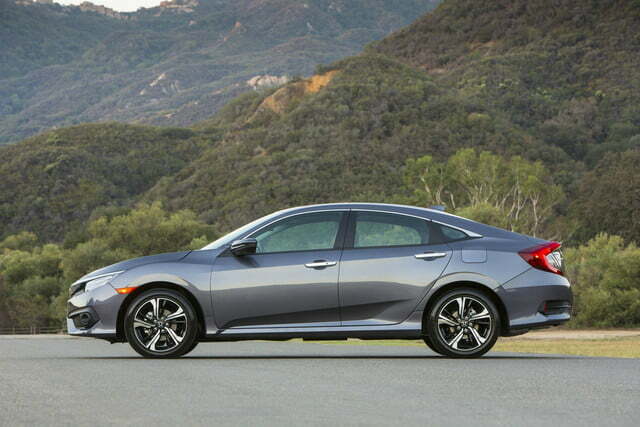 The base level 2018 Honda Civic LX sedan boasts a feature list that makes an impressive argument for the Civic as a value purchase. This least equipped Civic has a six-speed manual transmission which might cause a raised eyebrow, but hang on for the rest. LX’s come with automatic climate control, multi-angle rearview cameras with static guidelines, a MacPherson strut front suspension, and a security system with remote entry and trunk release. Every LX also has power side mirrors, power windows, and power door locks. On the infotainment checklist, the LX models include Bluetooth support, a USB audio interface, speed-sensitive volume control, a 5-inch color LCD infotainment system display, and a 160-watt audio system with four speakers. 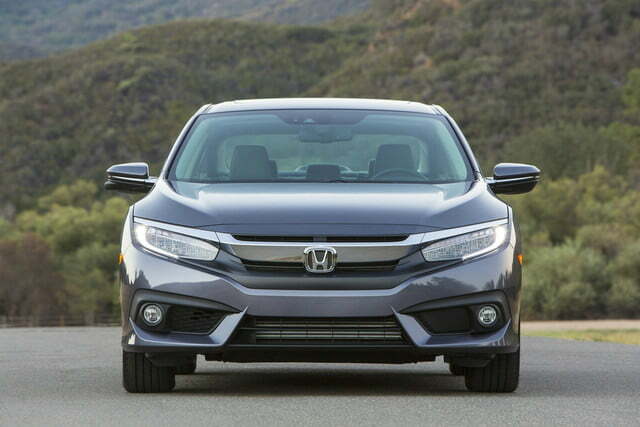 The 2018 Honda Civic EX’s $2,400 starting price bump over the LX buys an array of extras that make it very clear why the EX is the best-selling trim level. All 2018 Honda Civic EXs have, in addition to LX features, a CVT instead of a stick shift, remote engine start and smart entry, heated power side mirrors, variable intermittent windshield wipers, push-button start, and a one-touch power moonroof. 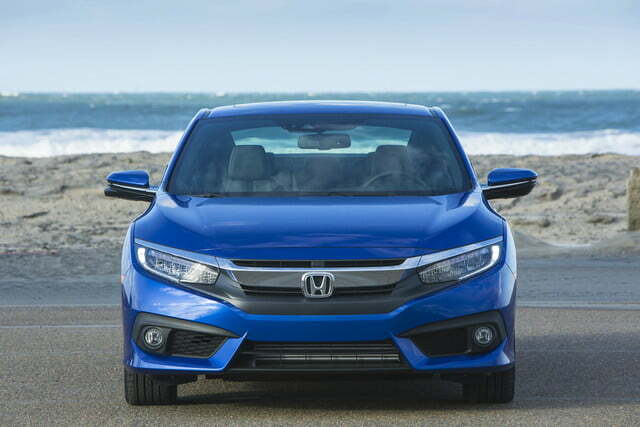 The EX also raises the Civic’s infotainment ante with Apple CarPlay and Android Auto support, multi-angle rearview camera with dynamic guidelines, a 180-watt audio setup with eight speakers, a 7-inch touchscreen display, and Honda Link smartphone connectivity. 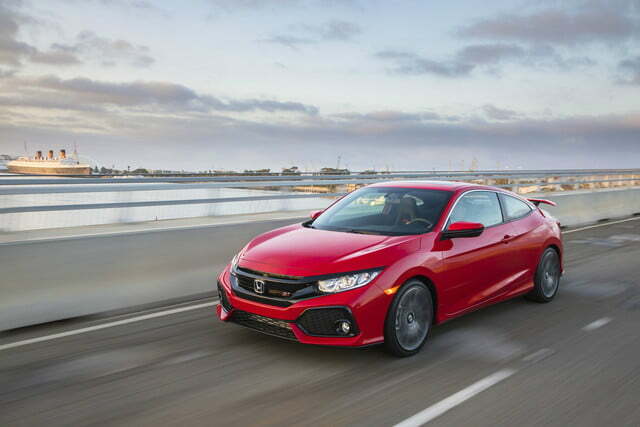 Jump to the 2018 Honda Civic EX-T for the smaller but more powerful turbocharged 1.5-liter engine equipped in this case with the six-speed manual shift. The EX also has, in addition to the EX features, 17-inch wheels, fog lights, a decklid spoiler, dual-zone automatic climate control, and heated front seats. The Civic EX-L and Touring trims build on the value in the EX-T with two levels of luxury, comfort, and convenience. If you choose the most-equipped Civic Touring trim, you top the EX-L’s feature list with auto on-off LED headlights, the full Honda Sensing safety suite, heated front and outboard rear seats, heated power side mirrors with LED turn indicators, rain-sensing windshield wipers, LED headlights, and a four-way power adjustable for the front passenger seat. The Civic Touring trim also includes the Honda navigation system with voice recognition, Honda HD digital traffic, and a 450-watt premium audio system with ten speakers and subwoofer. 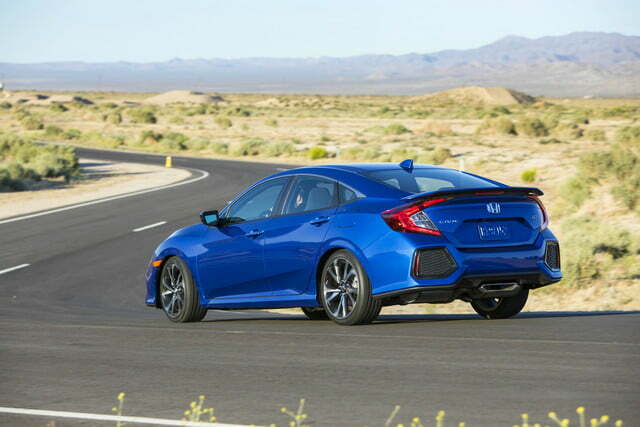 The 2018 Civic Coupes have a sportier, two-door style than the sedans but the sportiness bump is in looks alone. Like the Civic sedan, there are five coupe trim levels, with feature sets similar but not identical to the Civic Sedan. 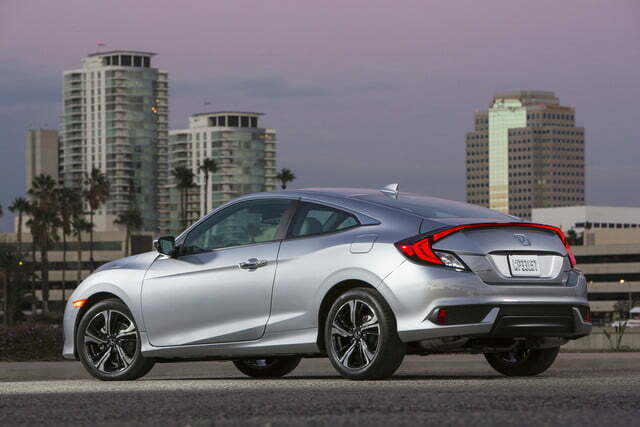 Civic Coupe prices start at $19,250 for the LX and go up to $26,235 for the Touring trim. 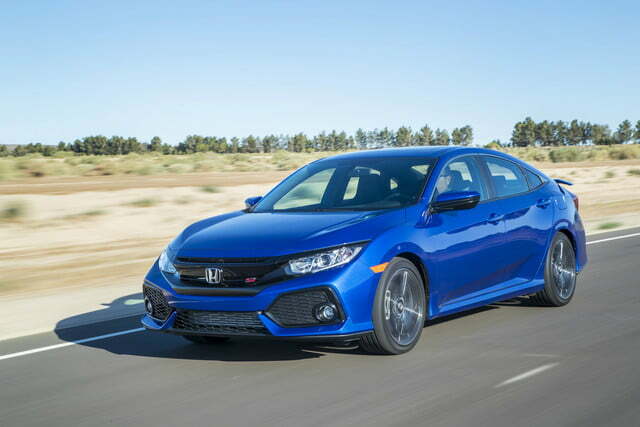 The 2018 Honda Civic LX has as standard a six-speed manual transmission, automatic climate control, and a MacPherson strut front suspension. In addition to power windows, door locks, and mirrors, the LX Coupe has a security system with remote entry and trunk release and a multi-angle rearview camera with fixed guidelines. The infotainment setup includes Bluetooth support, a USB audio interface, speed-sensitive volume control, a 5-inch color LCD infotainment system display and the 160-watt audio system with four speakers. If you opt for the 2018 Honda Civic EX-T, you’ll get, in addition to features of the EX, 17-inch alloy wheels, fog lights, a decklid spoiler, dual-zone automatic climate control, and heated front seats. The EX-T also gains the more powerful 174 hp engine and gains (or drops to, depending on your perspective) the six-speed manual shifter. 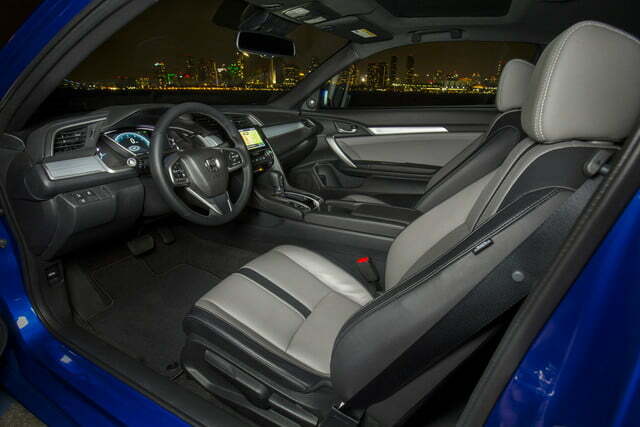 The EX-L, the first of the two more luxurious 2018 Honda Civic Coupes has leather-trimmed seats, eight-way power adjustments for the driver, an auto-dimming rearview mirror, and has the CVT that the single transmission available the fanciest Civics. 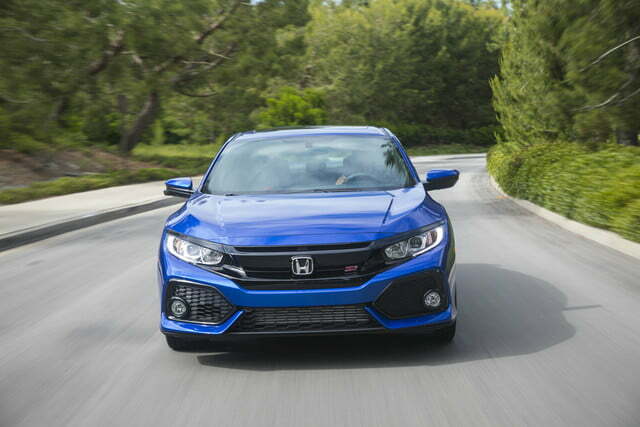 The 2018 Honda Civic Touring is the feature leader of the Coupe pack. The Touring two-door trim has the EX-L features plus auto on-off LED headlights, and the Honda Sensing safety suite, a 450-watt premium audio system with ten speakers and subwoofer. Other amenities include, heated front and outboard rear seats, a four-way power adjustable passenger seat, heated power side mirrors with LED turn indicators, rain-sensing windshield wipers, and LED headlights. The final standard feature addition for the Touring Coupe is the Honda navigation system with voice recognition and Honda HD digital traffic. 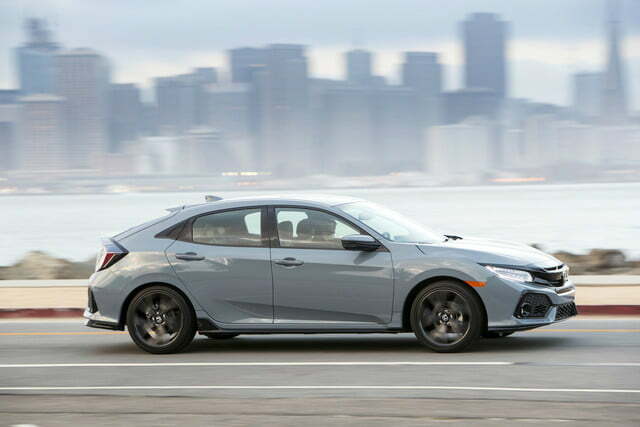 As you can read in our First Drive Review of the 2017 Honda Civic Hatchback, the five-door body style has a different design slant than the same generation’s sedans and coupes. Think sporty, versatile, and a touch bolder and you are part way there. 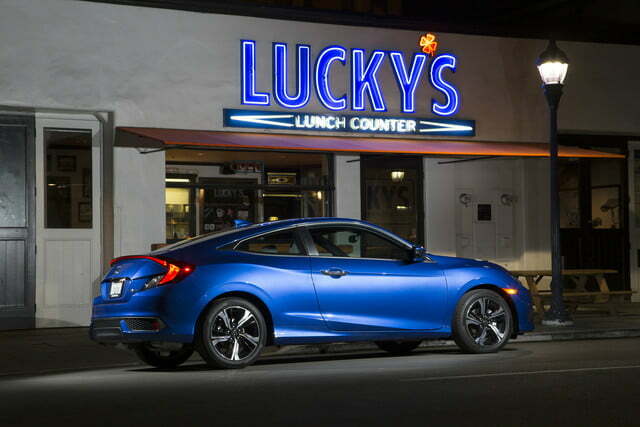 The hatchbacks share plenty of the components of the sedan and coupe, but the bolder body lines from any angle beckon a slightly different buyer. 2018 Honda Civic LX hatchback comes standard with six-speed manual transmission, 16-inch wheels, automatic climate control, multi-angle rearview camera, and MacPherson strut front suspension. There are also a security system with remote entry and trunk release, power side mirrors, and power windows and door locks. The LX hatch has Bluetooth support, a USB audio interface, speed-sensitive volume control, a 5-inch color LCD infotainment system display, and Honda’s 160-watt audio with four speakers. 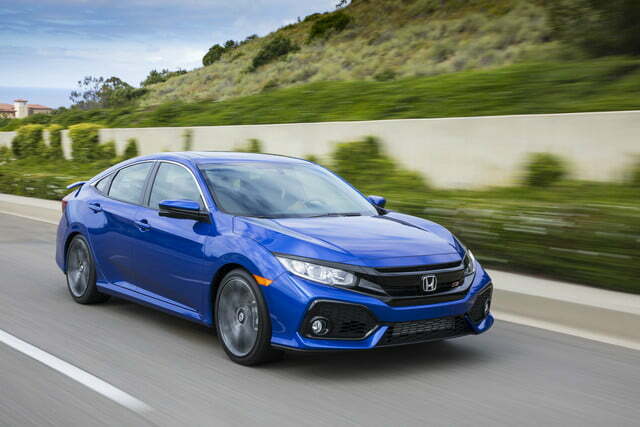 When you jump to the 2018 Honda Civic Sport, the hatchback gets sportier. The same engine from the LX in a higher tune state makes 180 hp, six more than the LX. The Sport model keeps the manual transmission and adds 18-inch alloy wheels, a center outlet dual exhaust system, underbody spoiler kit, and sport pedals. This model also adds remote engine start and smart entry, a one-touch power moonroof, Apple CarPlay and Android Auto support. Other comfort and convenience boosts include a multi-angle rearview camera with dynamic guidelines, heated power side mirrors, variable intermittent windshield wipers, push-button start, and HondaLink smartphone connectivity. 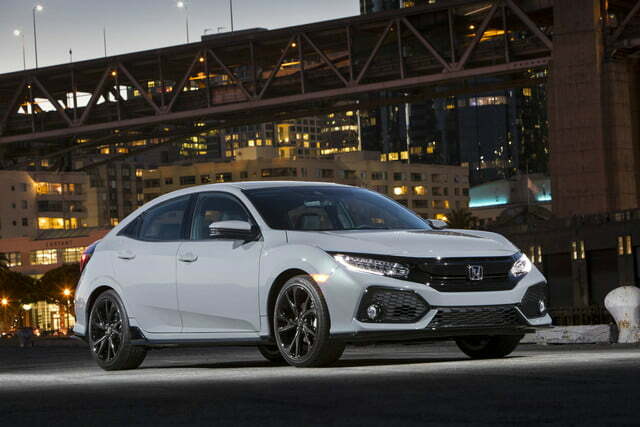 The 2018 Honda Civic EX hatchback drops back to the 174 hp engine tune and adds the CVT. The EX has 17-inch wheels, Honda LaneWatch, fog lights, a decklid spoiler, dual-zone automatic climate control, heated front seats, and the one-touch power moonroof. A 180-watt audio system with eight speakers and 7-inch touchscreen display boost the infotainment suite. The 2018 Honda Civic EX-L Navi features, as its name implies Satellite-linked Navigation system plus all the features of the EX. Other upscale niceties include an auto-dimming rearview mirror, leather-trimmed seats with eight-way power adjustments for the driver. Pulling it all together as the top regular lineup hatchback, the 2018 Honda Civic Sport Touring has the EX-L Navi features plus CVT with dual-mode paddle shifters and the center outlet dual exhaust system, underbody spoiler kit, 18-inch alloy wheels, and sport pedals from the Sport model. The Sport Touring hatch also has the 180-hp version of the turbocharged engine. 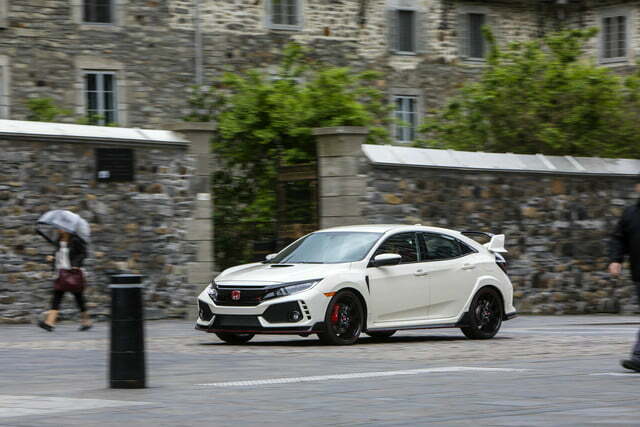 In addition, the ultimate regular (meaning non-racecar) hatchback has auto on-off LED headlights, the Honda Sensing safety suite, and a 540-watt premium audio system with 12 speakers and subwoofer. Passengers in the front and outboard rear seats enjoy in-seat heating. The power side mirrors with LED turn indicators are heated as well. Final touches on the Sport Touring Hatchback include rain-sensing windshield wipers, LED headlights, a four-way power adjustable passenger seat. So at last, unless you skipped right to this section of the article, we get to the performance cars. Interestingly enough, there’s one of each body style: one sedan, one coupe, and one hatchback. You won’t want to race all three, however. The Si sedan and Si coupe are nearly identical, so any competition between the two would depend on driver skill, and that would be fun. But the Type R hatchback is another story. This is the car that set the record for a front-wheel drive vehicle at the Nürburgring Nordschleife circuit. The Civic Si Sedan and Coupe are set up for casual performance driving. Nearly identical in features and specifications but for the number of doors, the two Civic Si’s also share the same $24,100 starting price. 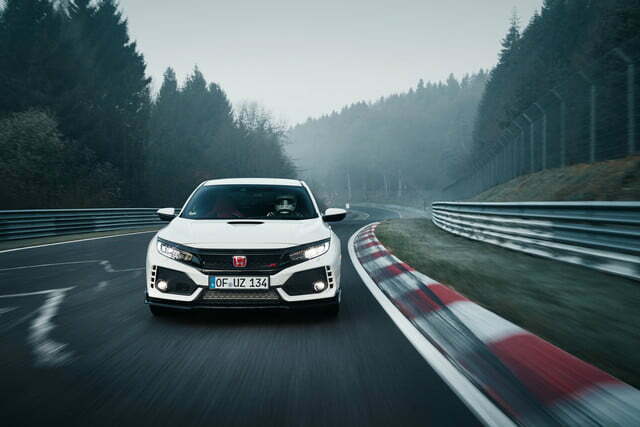 The Civic Type R with its racing heritage and “King of the Ring” status at Nürburgring starts at $33,900. 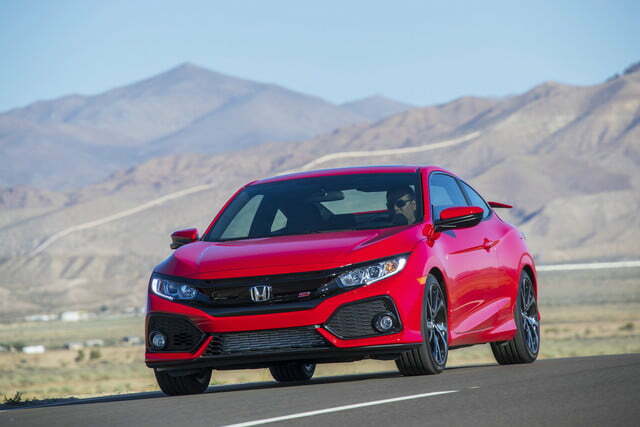 The 2018 Honda Civic Si Sedan gets 205 hp and 192 pound-feet from its turbocharged 1.5-liter in-line four-cylinder engine. A six-speed manual shift works with the Si’s two-mode drive system (Normal and Sport) to give the driver plenty of control. Other performance-focused features include a G-Force gauge, turbo boost gauge, lap timer, elapsed time indicator, rev-limiter indicator, sport mode indicator, and a throttle input/brake input gauge. 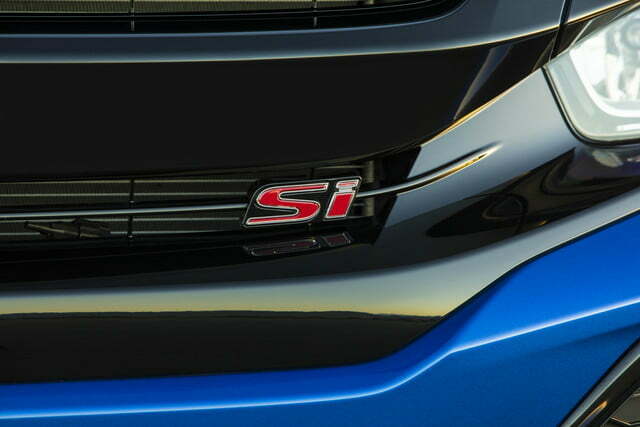 The Si’s come with high-performance tires, a helical limited-slip differential, MacPherson strut front suspension, bolstered front seats, a center sport exhaust system, an adaptive damper system, upgraded brakes, and sport pedals. Additional non-performance oriented features include Honda LaneWatch, a 7-inch infotainment touchscreen display, and a 450-watt premium audio system with 10 speakers and a subwoofer. 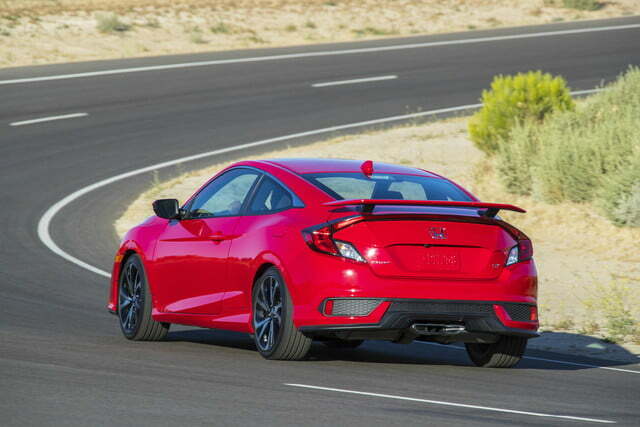 Everything you just read about the Civic Si Sedan applies to the Si Coupe as well. 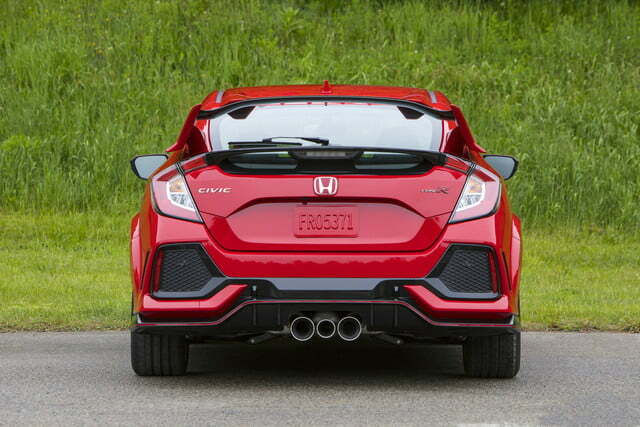 The only external differences are two doors instead of four and a more aggressive body wing spoiler. Inside the Coupe Si has textured aluminum pedals and an aluminum shift knob not specified for the Sedan. 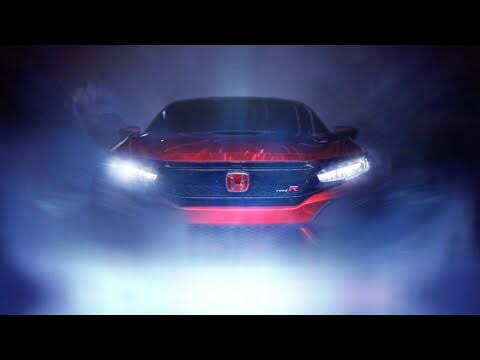 If you watch the video above, you get a sense of the Civic Type R’s purpose. 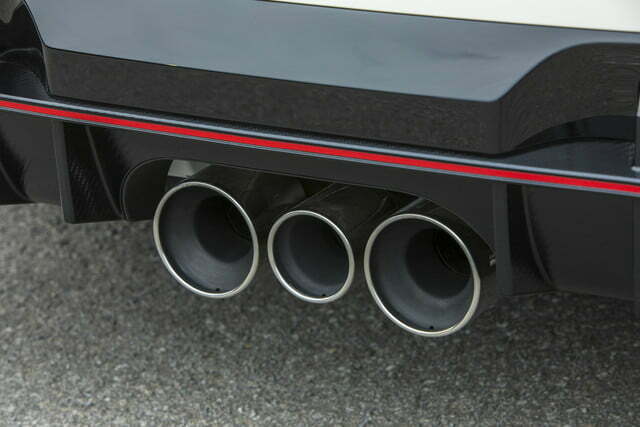 There’s nothing shy about the Type R’s performance capability or its appearance. The rules about red cars may not apply to the Type R – regardless of the color — count on it being a police magnet. The R rips out 306 hp and 295 pound-feet from its 2.0-liter turbocharged engine. 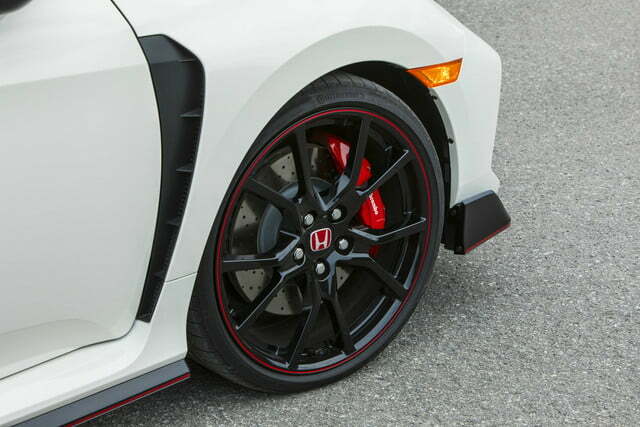 Functional performance features standard with the Type R include a close-ratio six-speed manual with rev-match control, a helical limited-slip differential, dual-axis Macpherson strut front suspension, water-cooled oil cooler, and Brembo four-piston aluminum front brake calipers. The exterior has an aluminum hood, roof-mounted vortex generators, a wing spoiler, center-mounted triple outlet exhaust, and an underbody spoiler kit. The R has a three-mode drive system with settings for Comfort, Sport, and +R. That latter setting won’t be comfortable for casual trips around town or normal highway driving — it’s intended for the racetrack. 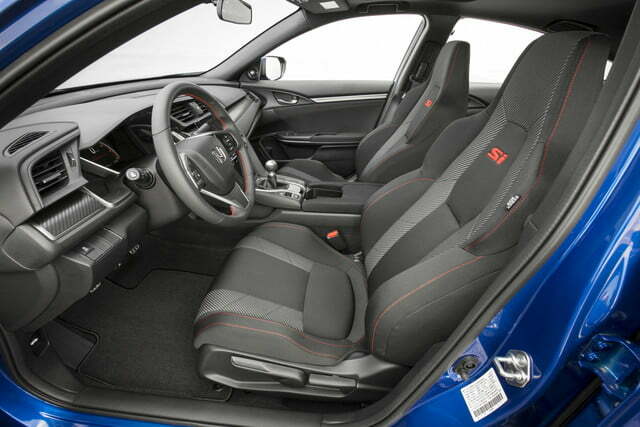 Inside the Civic Type R, additional niceties include push-button start, sport pedals, an aluminum shift knob, exclusively designed, high-bolstered sport seats, adjustable front seat-belt anchors, and rear head restraints. On the chance driver and passengers prefer listening to tunes rather than the sound of the R’s power once in a while, Honda includes a 540-watt premium audio with 12 speakers plus subwoofer. Updated with news of the Civic Type R winning the Digital Trends Best Car of 2017 award.